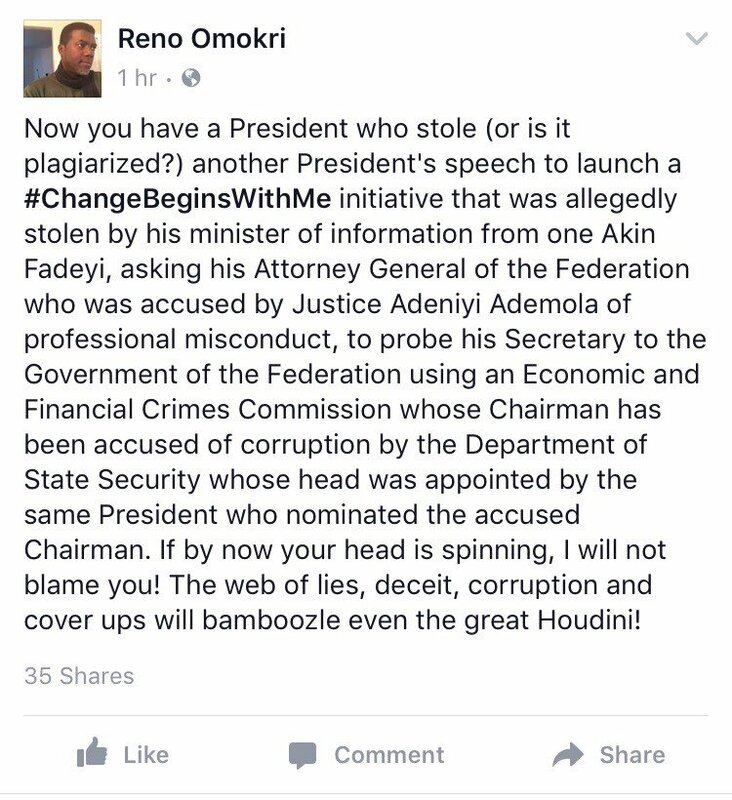 Reno Omokiri, ex-spokes person to former President Goodluck Jonathan has descended on President Muhammadu Buhari for 'stealing' or plagiarizing Obama speech to launch is #ChangeBeginswithme campaign. Recall President Buhari was accused of plagiarizing President Obama's speech where nearly more than a paragraph of the latter's speech was reproduced which attracted nationwide criticisms. The former presidential spokesperson may have decided to raise the Biblical Cain to remind the nation of Buhari's ineptitude especially as his economic policies appear to be failing at every turn this bring untold hardship to Nigerians.